Spreading the JOY of DANCE with our Youth. An investment that goes a long way. Take the FIRST step of the journey into dance. 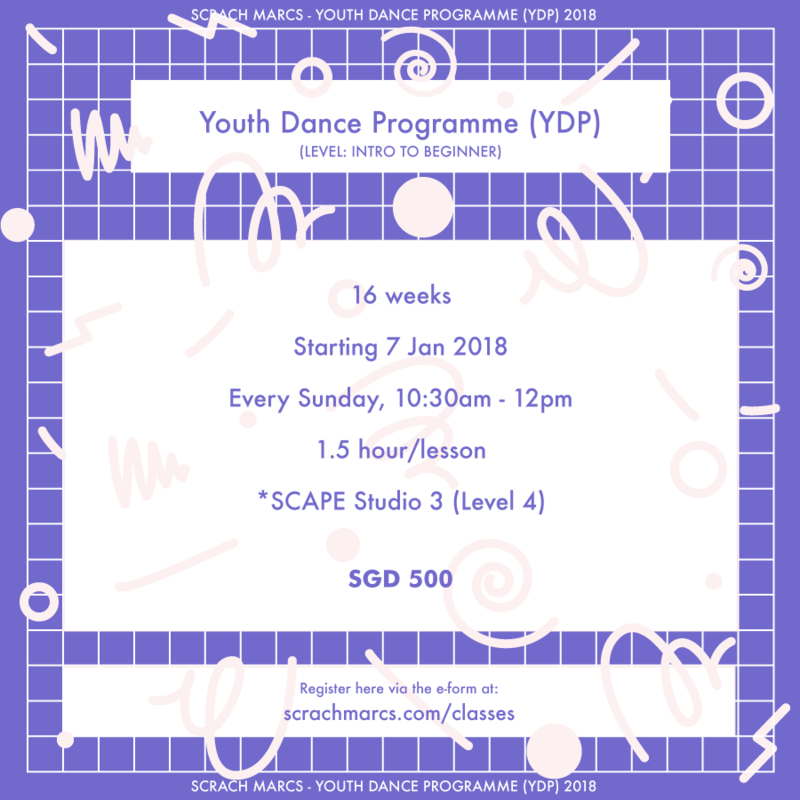 We are here to groom our aspiring dancers to excel to the best of their abilities. Its not just about learning moves but also about DISCIPLINE and TEAMWORK - the values that make a good dancer. We make sure that you can DANCE; because dance is already in you. We are just here to help unlock the Soul thats itching to bust a move. Never took a dance class before? Don’t worry. In fact, we built this program for students with zero dance experience. In a nutshell, this programme will TRAIN you to PERFORM. Students will go through training to help them execute and perform the choreography at the end of the Programme. 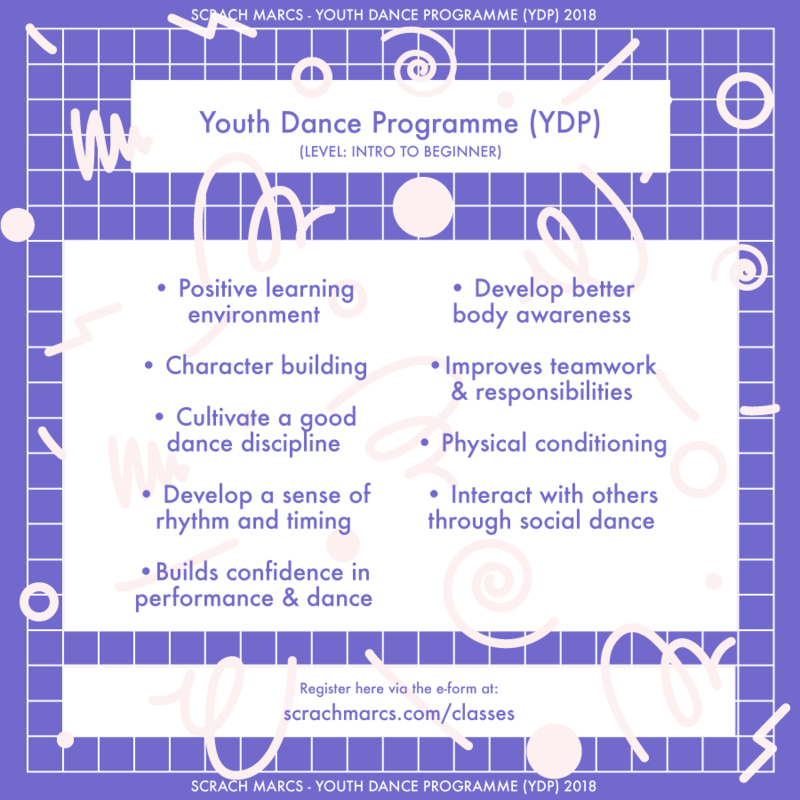 "ScRach MarcS Youth Performance Team"